Samsung this week announced the two newest television products that allow transfer of visual content from a TV screen to a smartphone or tablet Samsung. Two TV series called D7000 and D8000 is entered in a row of smart TV product that features Samsung's extra features. With these additional features, images, video feeds, photos, Blu-ray, DVD, even directly on a TV broadcast can be presented to the user's smartphones and tablets. Actually, this excess was notified Samsung at International Consumer Electronics Show 2011 in Las Vegas some time ago, but did not confirm it clearly. This time, Samsung explained that to smartphones, these additional features can only work on smartphones latest Galaxy. "The old version of the Galaxy can not use this feature,"said Samsung spokesman as quoted from the Telegraph, Friday (02/25/2011). Added Samsung, Galaxy and Galaxy Tab 10.1 SII are two devices that could utilize this feature and high-resolution video menstreaming because both are armed by the dual-core processor. While the previous Galaxy are still using single-core processors can not. Artists on this one, Febriyanie Ferdzilla do acting through the film Rizal Mantovani, 'Jenglot Pantai Selatan'. Not long ago, 18-year-old virgin had to do a photocall with detikhot. Musicians class Masanori Takahashi Japanese ballads or better known as Kitaro will hold a concert in Jakarta, April 7, 2011. Musician known as soul soothing musical arrangements that will be a concert at the Jakarta Convention Centre (JCC). As usual in every appearance, Kitaro will act with the help of a number of musicians "like-minded" in the concert later. They will play in theatrical music, with percussion, violin, grand piano, and drums. As many as 8 musicians will generate a performance with the aura of aktraktif. Men born February 4, 1953 is certain to bring the repertoire-his repertoire of hits, like 'Matsuri', 'Silk Road', 'Thinking of You', 'Sacret Journey of Ku-Kai' and many more. He also will play his hit from the soundtrack 'Impression of the West Lake' that never got nominated in the Grammy Awards are to-52. The concert which is the second time for Kitaro in Jakarta was held by Velvet Productions in collaboration with the Community's ESQ Way 165. Tickets start from U.S. $ 500 thousand to a special package for Rp 4 million. Kitaro is known as the musician who created the musical works that are always in touch with nature. Today Kitaro live in the United States with her son who also was named Kitaro. Actually, the name of Kitaro is just a nickname for Masanori. Kitaro himself is a Japanese cartoon character. Shocking news came from the movie business in Indonesia. The world's largest film industry, Hollywood decided to stop distributing their film production in Indonesia. This means there will be no foreign films screened in cinemas Indonesia. That said spokesman Masardi 21 Cineplex Noorca when talking with detikhot via cell phone on Friday (18/02/2011) night. According to their action Noorca policy backed government of Indonesia through the Directorate General of Customs who impose the burden of import duty on imported film distribution rights. This means that the government add on the costs of foreign films that want to enter Indonesia. "Their actions against the new policy of the Directorate General of Customs which imposes duty on imported film distribution rights. Because they think it is that something unusual and not ever in any film industry in the world," said Noorca. Noorca explains in simple, there are three provisions of the previous foreign film producers who wanted to show his film at the cinema of Indonesia. First, they have to pay import duties of goods in the form of a copy of the film ribbon to Indonesia. Tax form of income tax and VAT amounting to 23.75 percent of the value of the goods. "After showing in theaters, they have to pay income tax (income tax) from the profits of exploitation movies that played them in Indonesia," he continued. Third, there is also a film producer tax burden spectacle of the City or County. The amount of 10 to 15 percent of ticket sales profits. "That's fair. Now that is not fair is that the government imposes new taxes in the form of import duty on distribution rights that are the same size, 23.75 percent of the value of goods. This does not exist in any country," he explained. Thus, during the Director General of Customs still impose such taxes, Hollywood will not distribute the film production in Indonesia. "It will last forever, as long as the Director General of Taxation is not soft," said Noorca. 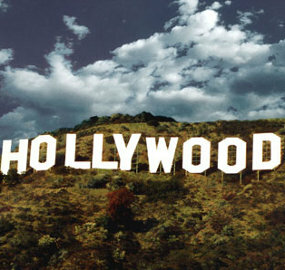 Hollywood decision no longer send his film production began on Thursday (02/17/2011) yesterday. While the movie is already playing, will be withdrawn from circulation. Four months ahead of the UK's biggest music festival, Glastonbury, the band U2 make sure to take place. 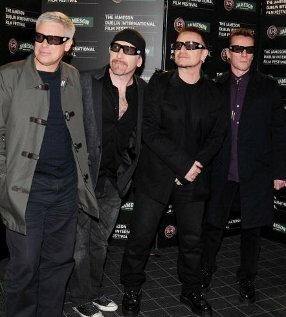 U2 will play at Glastonbury on the first day, June 24, 2011. Previously, U2 are still hesitant to perform at Glastonbury because of the vocalist, Bono injury. But the guitarist The Edge sure will take part. "Congratulations to Michael and Emily Eavis (steering committee) and the entire team for the successful continuation of this Glastonbury. U2 will play on June 24, and we are very pleased to be playing in front of the world's largest festival audience that," said The Edge, as quoted by Contact Music Friday (25/02/2011). That means that U2 will perform one main stage along with another British band, Muse. The Edge also mentioned, it is something very special. "I must say there is something very special," he said. While it lists a number of musicians who will fill the prestigious festival that was leaked to the public. Call it the Chris Martin cs will perform on the second day, June 25, 2011 as the band cover the main stage. Performances will be the third time in Glastonbury Coldplay joined throughout their careers. Concert tickets which will be held at Worthy Farm, Pilton, Somerset, England was already selling well when it was sold on October 3, 2010. In just 4 hours, the concert tickets run out. Meanwhile, The Rolling Stones certainly would not join. They're stopping all activities of the stage because of disputes promoter who brought the right promotional tour of The Rolling Stones. On 2 February, the Jack and Meg White have agreed to dissolve the band The White Stripes. Now Jack has vowed not want to make a new band again. 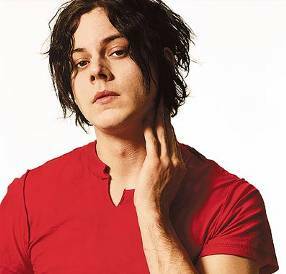 Jack did not just menggawangi White Stripes in recent years. Musician real name is John Anthony Gillis Racounteurs in 2005 to form The Dead and The Weather in 2009. According to Jack, the three bands was enough for him. In addition, he is still working on his solo project. Sometimes he collaborated with other musicians to make music side project. "I'm not going to join another band again. Three enough for a lifetime," said Jack told Q magazine reported by Spinner, Friday (25/02/2011). White Stripes, The Weather Racounteurs and The Dead have a different musical style bike although the same person. Jack had enough to share their creativity to the two bands that are still remaining. Some time ago he collaborated with Jay-Z. He also appeared as guest musicians on the album 'Rome' property Danger Mouse and Daniele Luppi. If before Jay Chou only popular in Asia is now an opportunity for Taiwan actors go international more wide open. Kobe Bryant is now friends with Jay Chou duet. Basket Ball Player from the Los Angeles Lakers team that finished colleague Jay Chou in a commercial beverage. Both mutual show of skill to play basketball. Kobe plays basketball skill certainly do not need anymore disanksikan. But basketball is Jay's favorite sport. Stars film 'The Green Hornet' was also once competed in a film about basketball, "Kung Fu Dunk '. "Kobe like a wall. Sepercaya yourself as possible, I feel anxious (can not do a single shot)," said Jay Chou Xin MSN launched on Friday (25/02/2011). Of course, Jay's basketball game can not possibly compete with Kobe. But the 32-year-old actor was back then when they sing. In the ad Jay Chou sings a song titled 'Battle of The Heaven and Earth'. 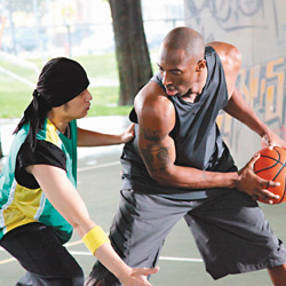 Kobe gets the role as a rapper. This is the first time Jay worked with strangers in sing his songs. "Our collaboration certainly incomparable and invincible," said Jay. Kobe was like cooperation with Jay. He had fallen in love with Jay Chou's song since first hearing.